The loss of valuable data and precious moments on your Android phone or tablet can be very upsetting. 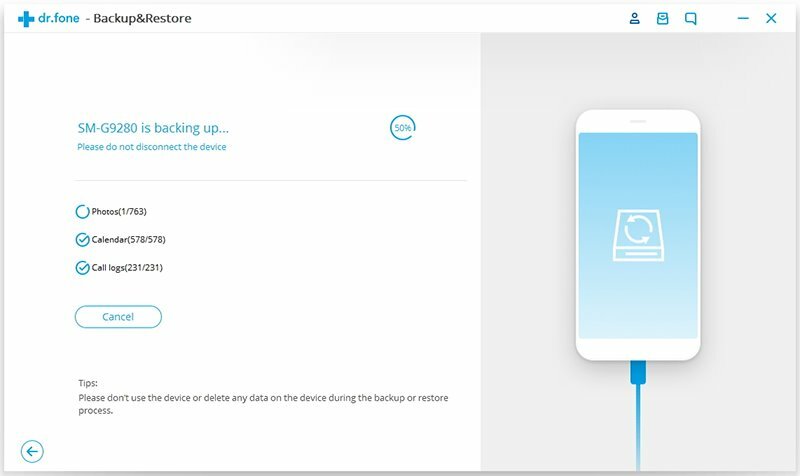 Therefore, it’s recommended that you back up your Android phone or tablet regularly so that you can still access the crucial data when it is lost or damaged. The iSkysoft Toolbox-Backup &Restore(Android), as a professional and reliable Android data management app, is able to help backup all types of data and settings on Android and meanwhile enable you to preview and restore the backup files to another Android device selectively. 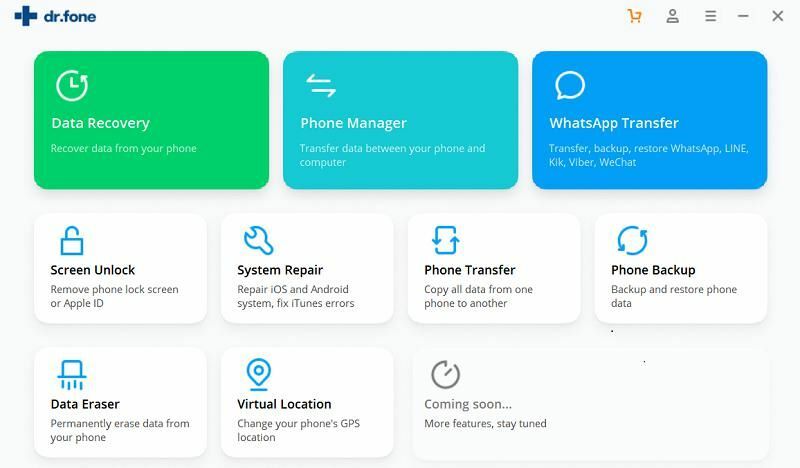 Firstly, you need to download and set up iSkysoft Toolbox on your computer and make sure your Android phone or tablet is connected to the PC. After that, we choose “Backup & Restore” from the app homepage. To continue backup process, you may need to enable USB debugging on device which depends on the versions of Android. 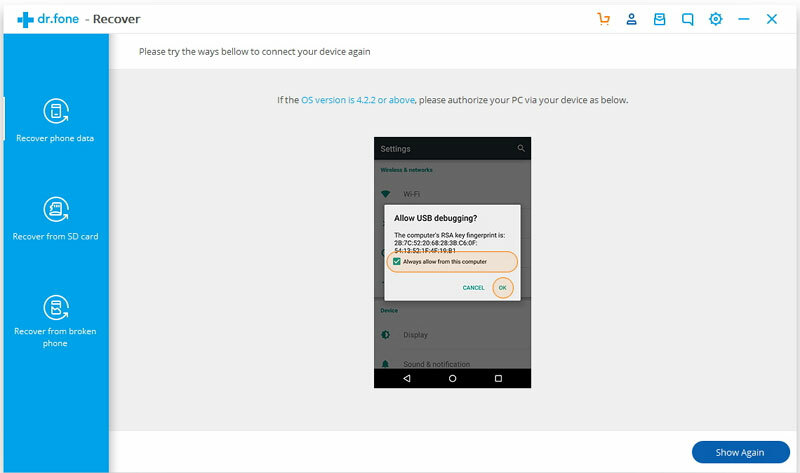 Just tap on “OK” if a pop-up appears on your Android phone or tablet asking you to allow USB debugging. Then please choose “Backup” to initiate the backup process. 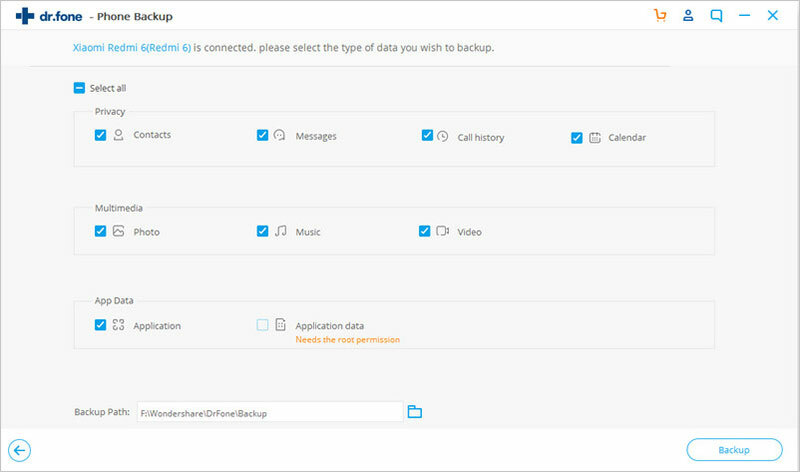 After you tap “Backup” above, the iSkysoft Toolbox will list all types of data and files available for backup including contacts, messages, call history, calendar, photos, videos, application and so on. 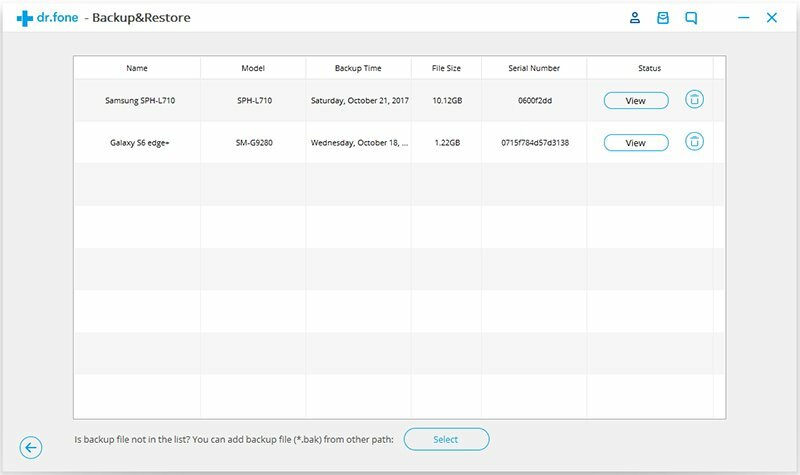 Here you can select all or part of the data you need and choose a storage location for backup files. Then please tap on “Backup” again to start backing up the desired files. Based on the size of backup files, the backup process could take a few minutes or longer. Make sure your Android device stay connected during the process and wait patiently until it completes. After the Android backup is finished, you can move on to click “View Backup History” for checking whether all of your desirable files have been backed up successfully. 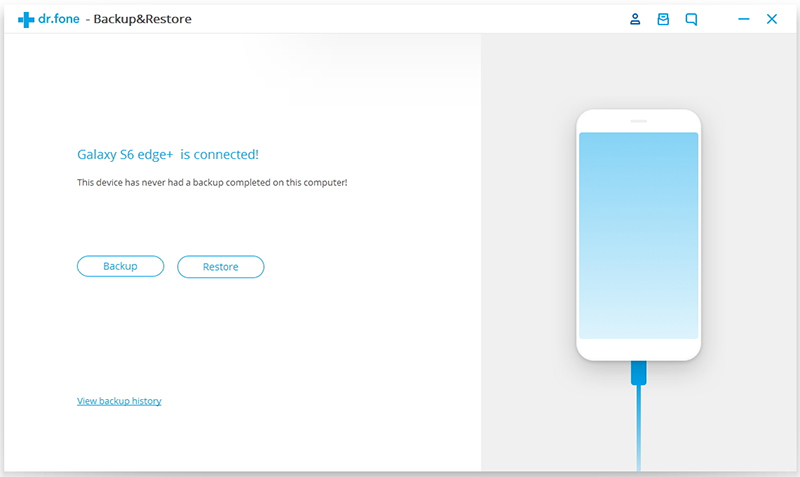 To restore Android phone or tablet, please plug the device to your computer firstly and tap “ Backup & Restore” below. To find the files you ever backed up, please tap on “Restore” on the screen below. Then in the section below, the program will list all of the backup files you ever did. Here you can select one of these backup files and tap “View” to check it. 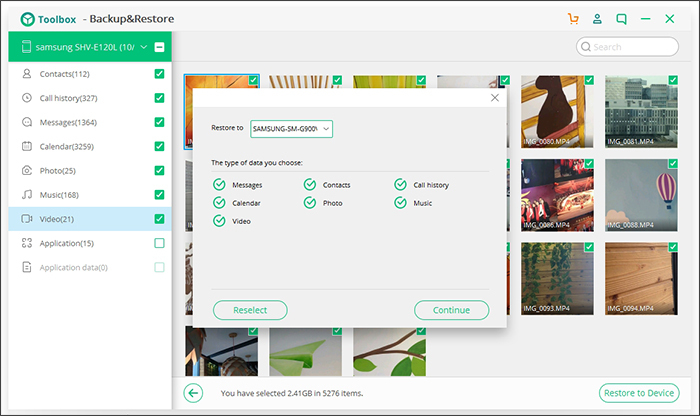 Step 3 : Preview and select backup files. 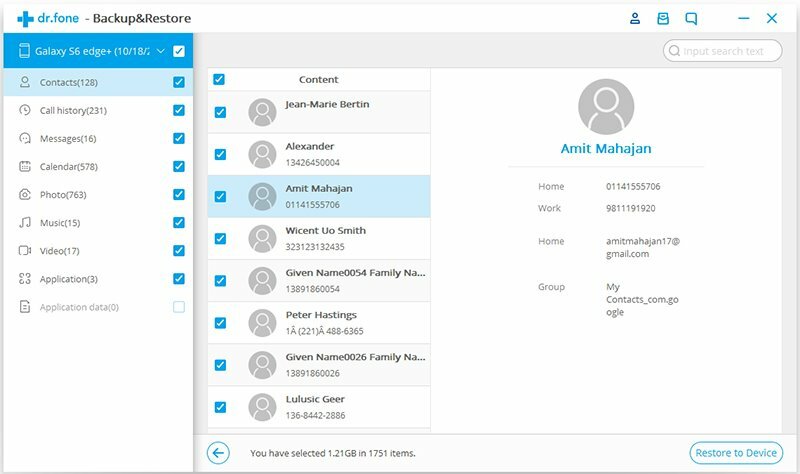 On the next screen, the program will display all of backup data that’s orderly listed such as contacts, call history, messages, photos, videos and more. Here you can preview and tick those you want to restore. 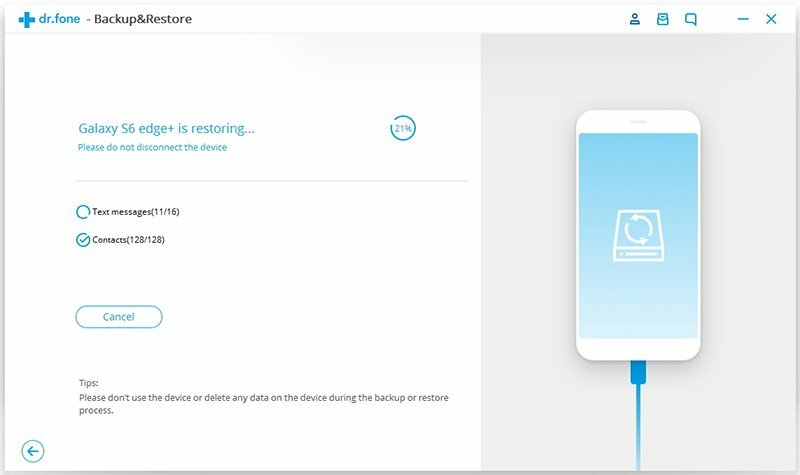 After choosing the backup files you need, please tap “Restore to Device” and then click “Continue” at the screen below for restoring the data to Android phone or tablet. To start restore backups on Android, you need to enable USB debugging by clicking “YES” on the device after receiving a message. 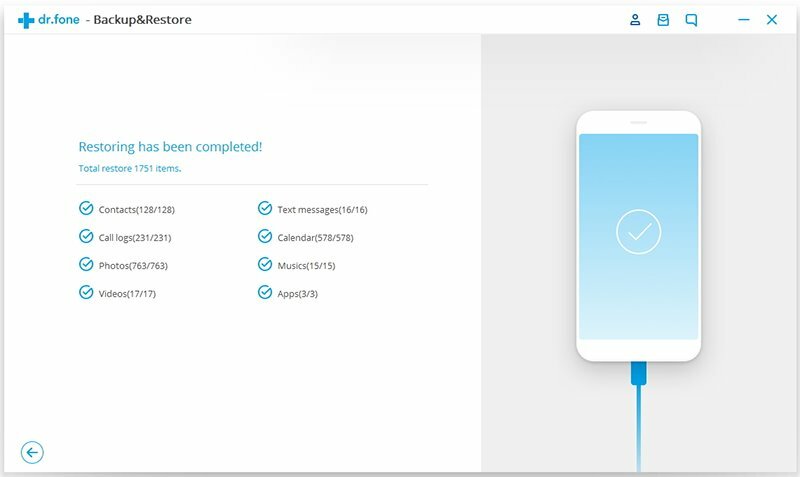 Wait and keep Android devices connected until the restore process completes.